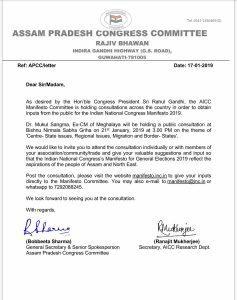 The Assam Pradesh Congress Committee (APCC) is holding a public consultation meeting for preparing the manifesto of ensuing Lok Sabha elections in Guwahati on Monday. The statement further added that even after conclusion of the consultation meeting, one can visit the website manifesto.inc.in to give inputs directly to the manifesto committee. One can also e-mail suggestions to manifesto@inc.in or whatsapp to 7292088245. 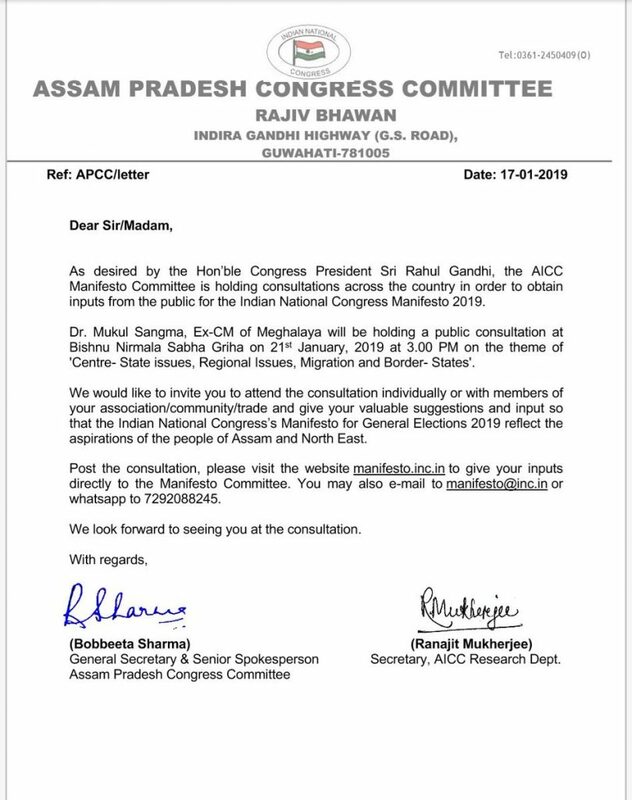 The consultation meeting is being held as desired by AICC president Rahul Gandhi across the country to obtain inputs from the public to prepare the manifesto of the Congress party for the upcoming Lok Sabha elections.